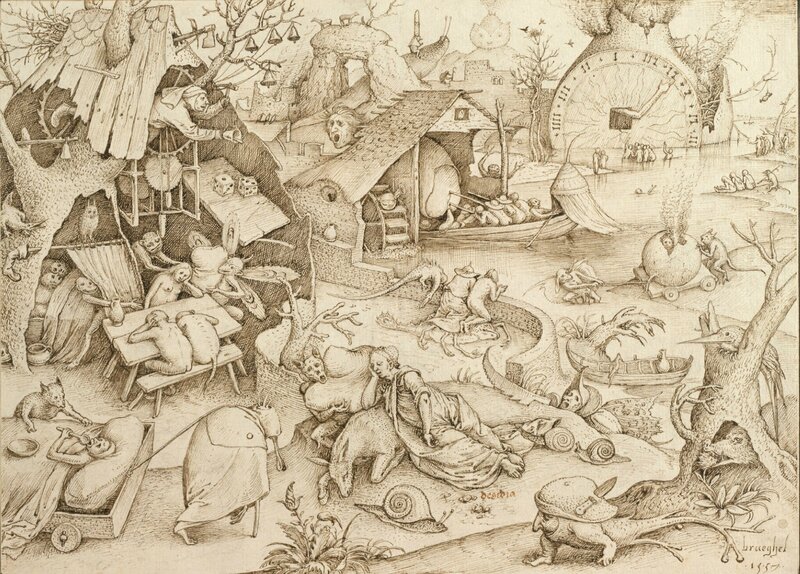 VIENNA - The Albertina is devoting a comprehensive exhibition to Pieter Bruegel the Elder, the 16th century’s most important Netherlandish draughtsman. 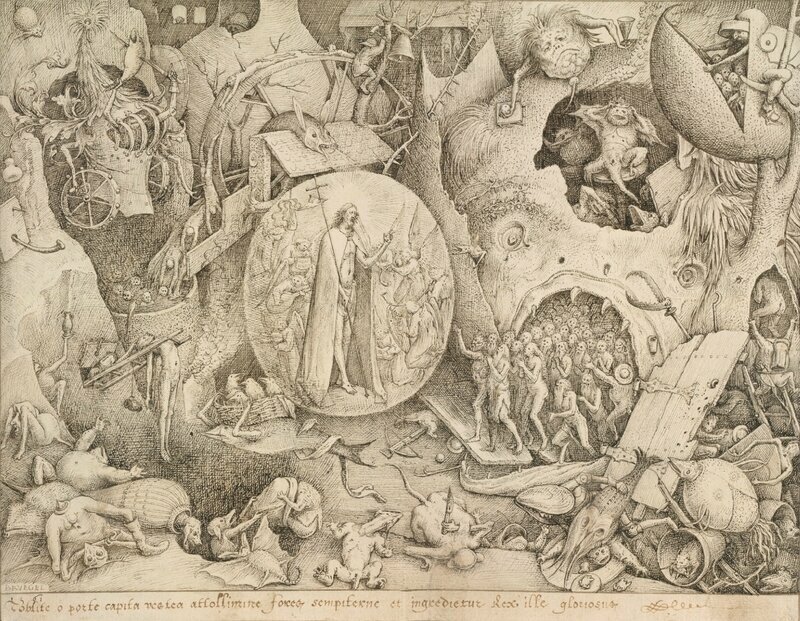 With its 80 works, this exhibition presents the entire spectrum of Bruegel’s drawn and printed oeuvre and seeks to shed light on his artistic origins by juxtaposing his output with high-quality works by important predecessors such as Bosch and Dürer. Pieter Bruegel the Elder, Spring, 1565. Pen and ink © The Albertina Museum, Vienna. 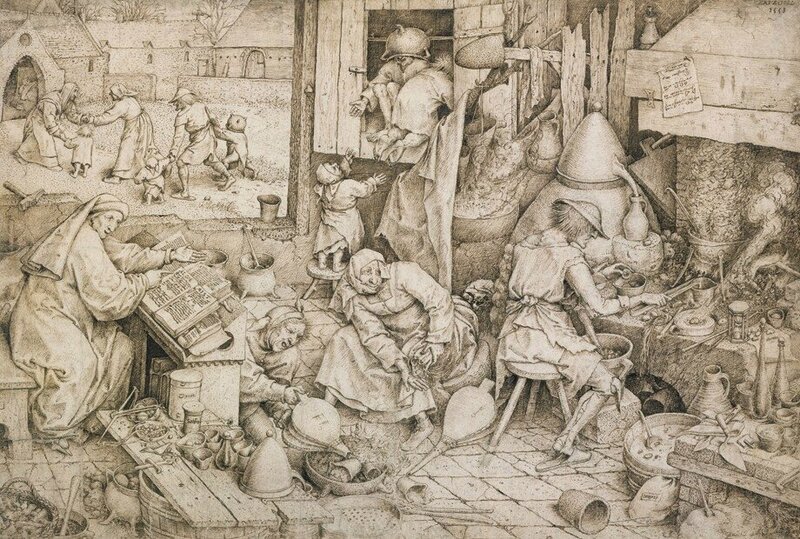 Pieter Bruegel’s drawings, done on the eve of the Dutch Revolt against Spanish rule and amidst an era of political, social, and religious transformations, conjure up a complex pictorial world. 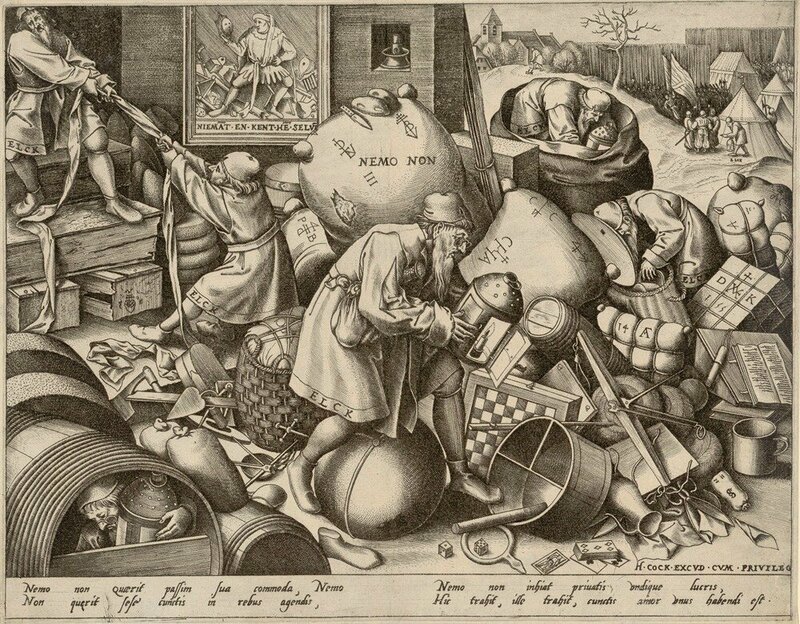 Bruegel reflects on social conditions in a way that is humorous, down-to-earth, perceptive, and deeply critical. And as a moralist, he makes a theme of human beings’ tragedy and greatness, ridiculousness and weakness. 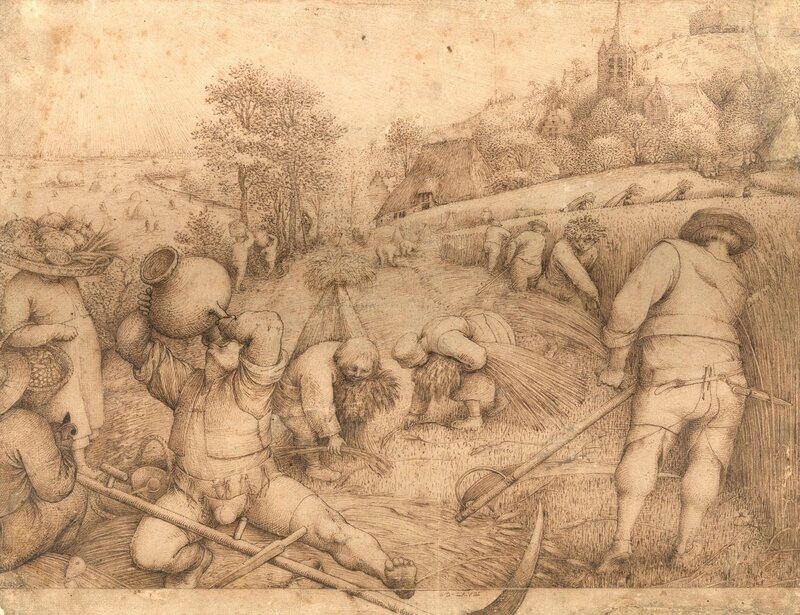 Bruegel’s works stand out for his immense interest in the real world inhabited by his contemporaries: they feature peasants working in the fields, picturesque landscapes, alpine peaks, and intimate river valleys, but also numerous satirical and moralising takes on contemporary society as well as absurd and comical grotesques. The portrayal of the individual recedes in favour of illustrations of specific archetypes. At turns keenly observant of nature or engaging in parodic exaggeration, the artist the constant conflict between ideal and reality from various angles. His penchant for the rough-hewn and folksy, along with unsanitised impressions of social conditions, is something that he has in common with the roughly contemporary authors Rabelais, Cervantes, and Shakespeare, who, in their literature, turned the world into stage and formulated universal insights, while his deeply moral approach is akin to that of Michel de Montaigne or Francis Bacon. 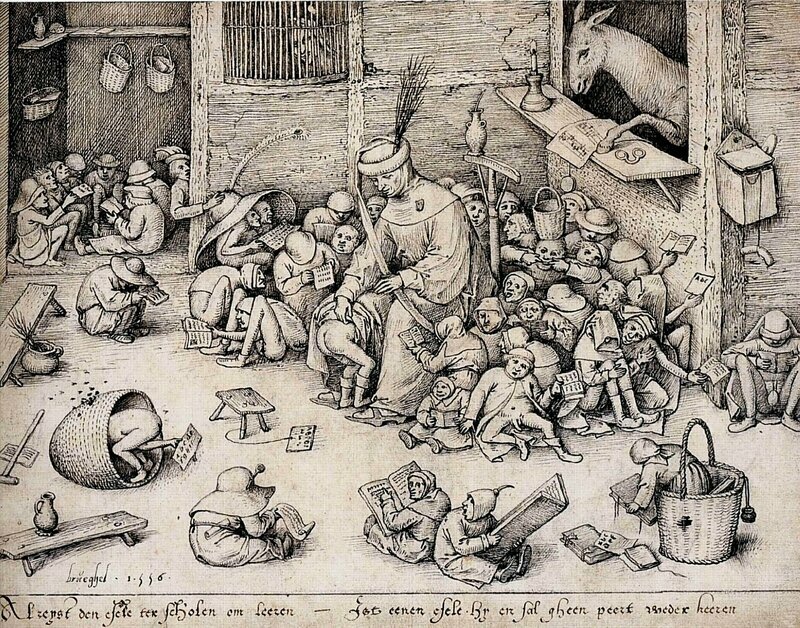 Pieter Bruegel the Elder is one of the 16th century’s foremost draughtsmen. 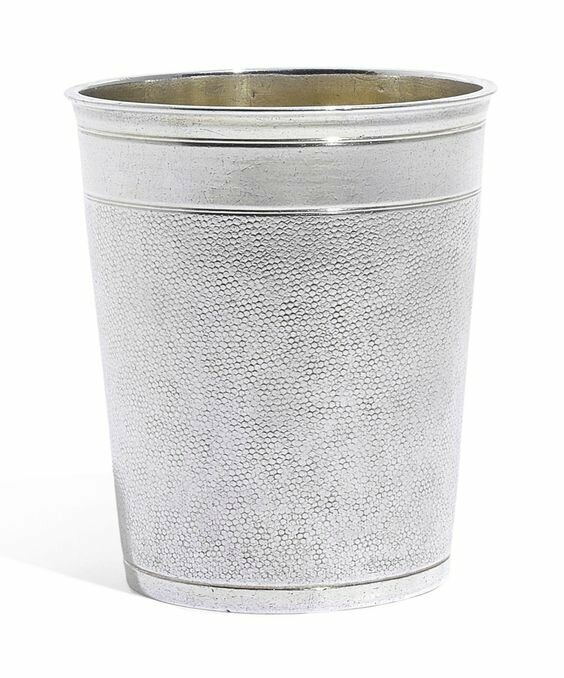 Even during his lifetime, his drawings enjoyed the greatest popularity and were coveted collector’s items—with many also being reproduced as copperplate prints and widely disseminated. His audience consisted not of the peasants who so often populated his pictures, but rather of the educated elite. 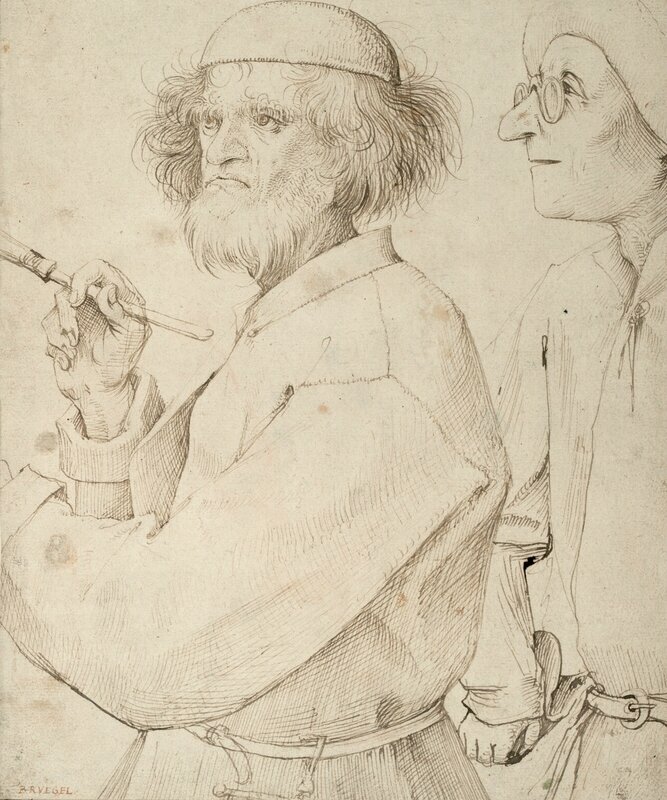 Alongside The Painter and the Connoisseur, the Albertina owns five other drawings from Breughel’s own hand—meaning that alongside those of the Kupferstichkabinett in Berlin and the Museum Boijmans van Beuningen, this is one of the world’s largest collections of his rare drawings, of which only around 60 are extant. The Albertina is also one of a very few collections worldwide that own the artist’s entire printed oeuvre—with many of them even present in multiple examples, including numerous rarities and even a few unique state proofs. Pieter Bruegel the Elder (Engravers: Jan and Lucas van Duetecum), The Kermis of Saint George, ca. 1559. Engraving. © The Albertina Museum, Vienna. Most of the Albertina’s rich holdings of early Netherlandish, Dutch and Flemish art were acquired by Albertina founder Duke Albert and by the former Imperial Court Library. 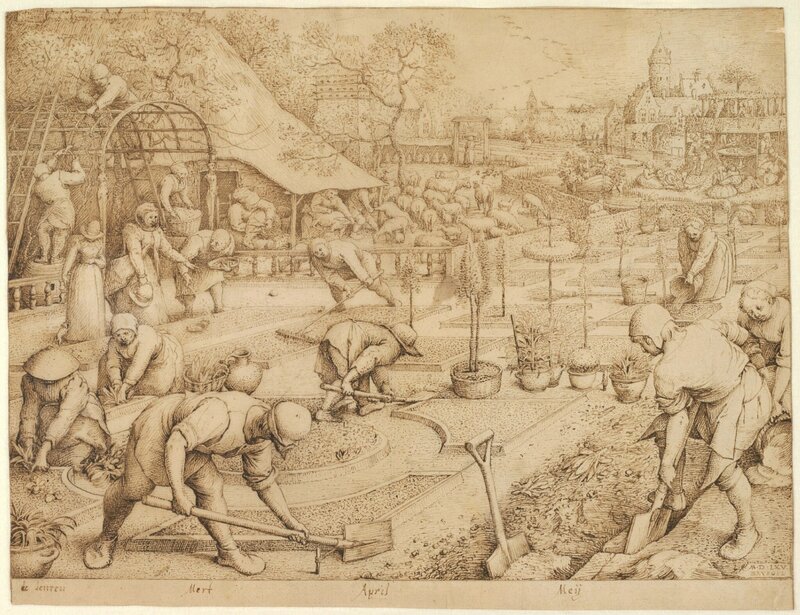 Bruegel’s work in the Albertina has been analysed over several years of research. In the process, numerous precious works have been rediscovered, works such as a large-format view of Antwerp by a Bruegel contemporary of which only one further copy is known. 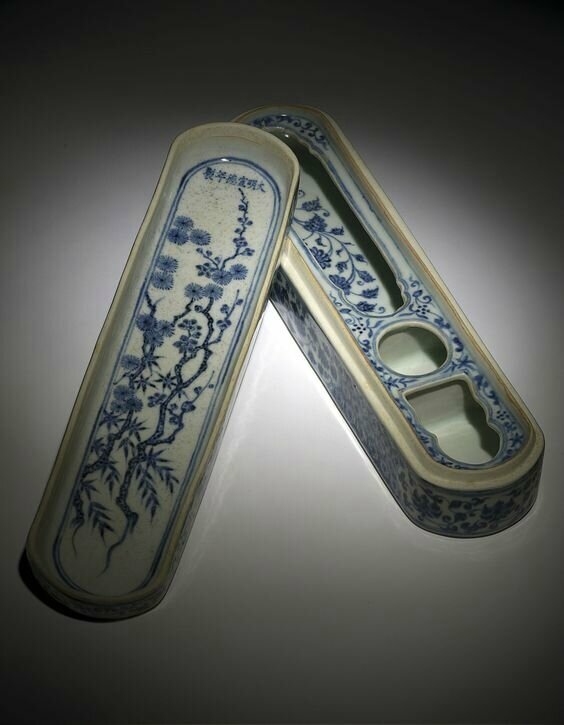 Many of these have never before been exhibited and were therefore given conservational attention for the very first time. 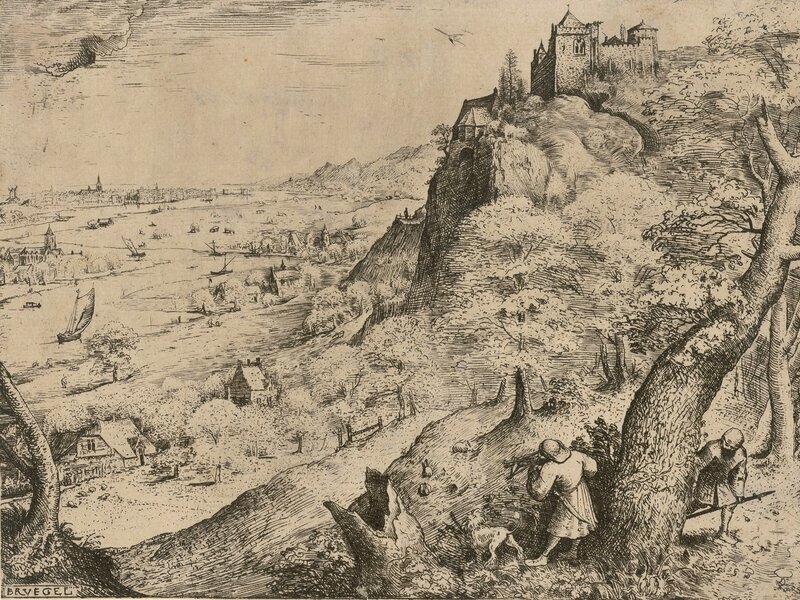 In light of the countless publications and exhibitions on Bruegel, it may come as a surprise that new finds of works by such a famous master can still occur—which is why it is all the more cheering to have discovered over 100 additional copies of prints by Bruegel, works previously unknown to researchers, that have now been restored for this exhibition with the utmost care. 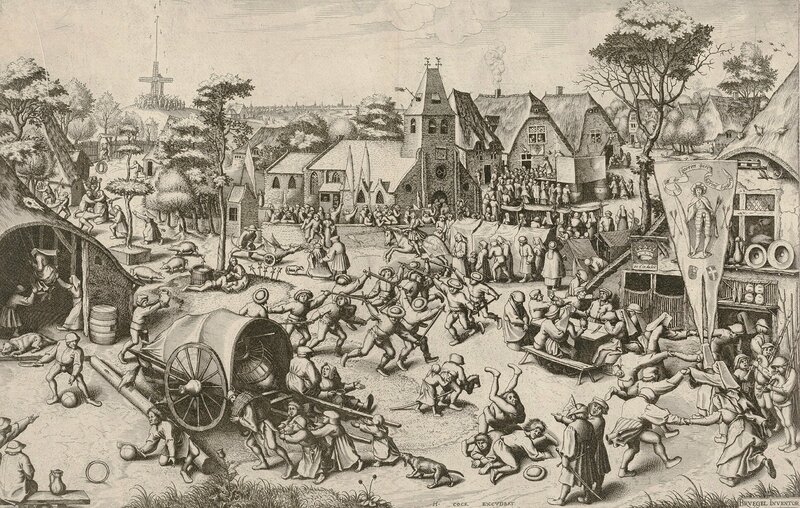 Pieter Bruegel (Engraver: Pieter van der Heyden), Elck, ca. 1558. Engraving. © The Albertina Museum, Vienna. Pieter Bruegel the Elder, The Alchemist, 1558. Pen and ink. bpk / Kupferstichkabinett, SMB / Jörg P. Anders. Pieter Bruegel the Elder, The Descent of Christ into Limbo, 1561. Pen and ink © The Albertina Museum, Vienna. Pieter Bruegel the Elder, Sloth, 1557. Pen and ink © The Albertina Museum, Vienna. 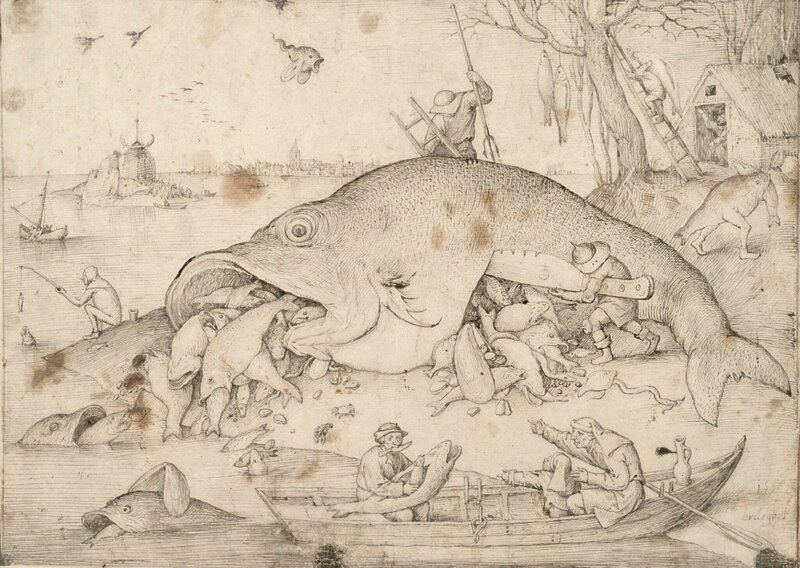 Pieter Bruegel the Elder, Big Fish eat little Fish, 1556. Pen and ink © The Albertina Museum, Vienna. 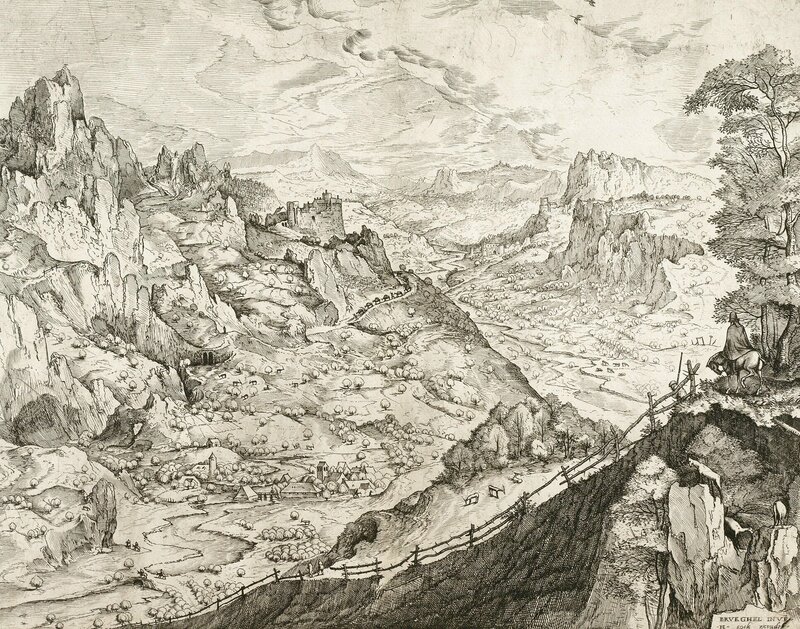 Pieter Bruegel the Elder (Engravers: Jan and Lucas van Duetecum), Large Alpine Landscape, 1555-1556. Engraving. © The Albertina Museum, Vienna. Pieter Bruegel the Elder, The Rabbit Hunt, 1560. Etching. © The Albertina Museum, Vienna. 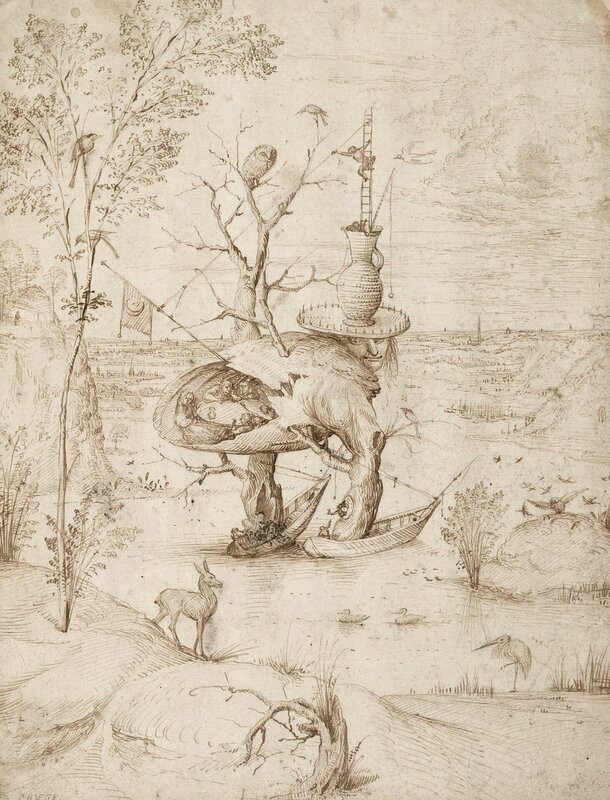 Hieronymus Bosch, The Tree Man, ca. 1500. Pen and ink. © The Albertina Museum, Vienna.